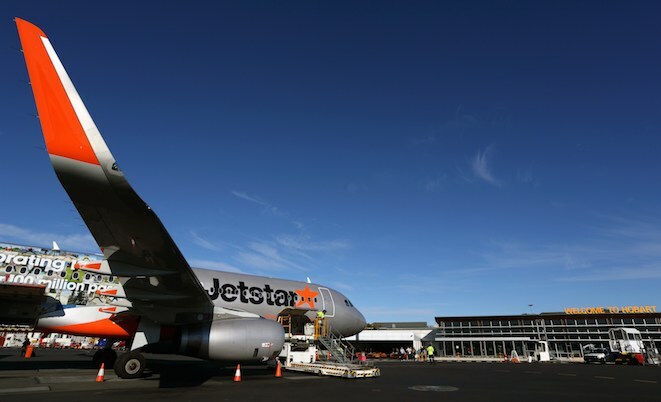 Hobart Airport has been allocated $38 million over the next three years to extend its runway. The project will receive $5.5 million in 2014-15, $26.1 million in 2015-16 and $6.4 million in 2016-17, the federal government’s budget papers released on Tuesday showed. Deputy prime minister Warren Truss said the 500-metre runway extension would create 200 jobs during the construction phase and allow Hobart Airport to become Australia’s “gateway to the Antarctic”. “This project will strengthen the Tasmanian economy by allowing for the growth of new Australian businesses specialising in Antarctic station support including equipment, maintenance, medical, construction, and research,” Truss said in a statement. The longer runway would enable aircraft such as the Boeing 777 or Airbus A330 to takeoff with a full payload of passengers and fuel and be able to fly to destinations such as Shanghai, Hobart Airport said in 2013. The airport was currently working on its 2015 master plan and major development plan, Truss said, which would provide details of the runway extension, including environmental and other studies. Meanwhile, the federal government will spend $103 million in 2014-15 to commence work on major road projects for the development of a second Sydney airport at Badgerys Creek. The Western Sydney Infrastructure plan is a 10-year, $3.5 billion project, with $2.9 billion from Canberra and the rest from the NSW government. Good news. Also great to see that road infrastructure for BC will be implemented first – wise move. for aircraft arriving or departing. Hobart could use an aerobridge, getting off a plane in winter is not a pleasant thing at all! I hope taxiways to the ends are included in this deal, the spacing for backtracks in bad weather hampers the movement rate significantly.